A machined natural aluminium in-line coolant housings for temperature senders or fan switches. Fits 38mm I.D. hose Has a female M22 x 1.5 thread that will accept a standard M22 fan temp switch from our range. Then there's a range of five inserts - all with a male M22 x 1.5 thread and all with different female threads for the senders and switches. 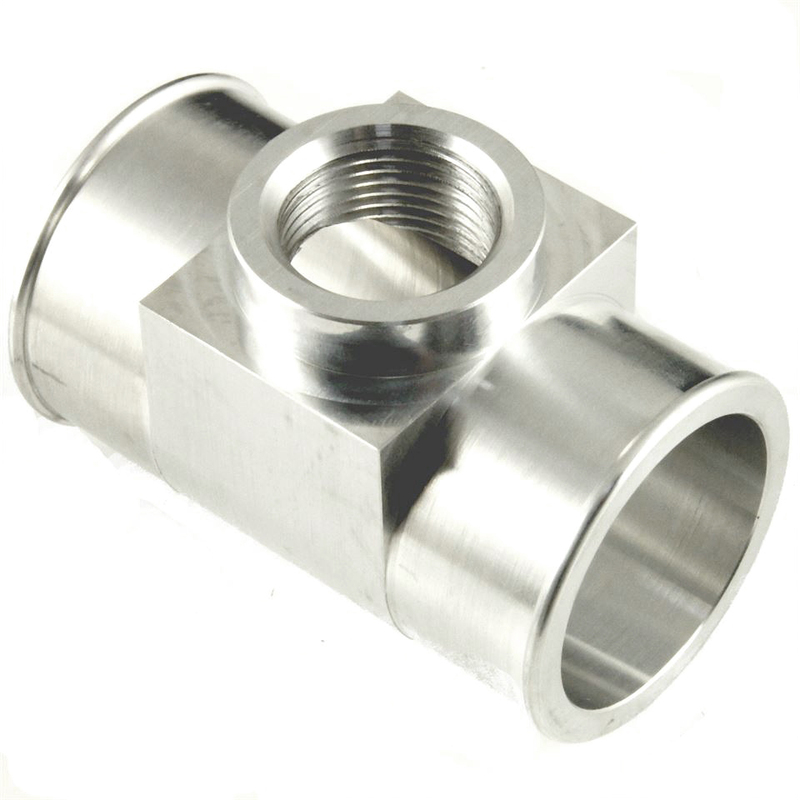 Simply choose the required threaded insert and the housing and screw them together with the sealing 'O'-ring. 1/8" NPT Female thread. M22 Male thread. 1/4" NPT Female thread. M22 Male thread. 1/4" BSP Female thread. M22 Male thread. On at 88ºC, Off at 79ºC. On at 95ºC, Off at 86ºC. On at 82ºC, Off at 72ºC. Use for temp senders, fan switches. take-offs. Modular make your own joiners/adapters. 25mm straight joiner with a modular take-off. 32mm straight joiner with a modular take-off. 38mm straight joiner with modular take-off. Use with fan switches #FANSW5, #FANSW6 and #FANSW8. Or Adapters #ADAPT16, #ADAPT15, #ADAPT5, #ADAPT7. Ideal for fan switches, temp sensors or take-off's. 45mm-60mm Zinc plated hose clip. 12mm ID. 20mm OD. 90º tight bend. Supplied in a 7 metre roll. 52mm Overall length. 37mm thread length. 3.3mm diameter inner bore. 6.4mm diameter outer. Fits through a 27mm hole. 20 Amp max.